This is a guest post by Miraj Gazi. He is a Superb Digital Marketing Strategist & Blogger From New Delhi, India. Miraj runs InboundMarketer.in where he shares actionable tips and ideas of effective SEO, Social Media and Digital Marketing. Apart from this, he loves eating mangoes with his son Zaid Ahmad. You have just published a great new blog post and you are so excited that you’ve shared your knowledge, ideas and expertise with the world. But what next? 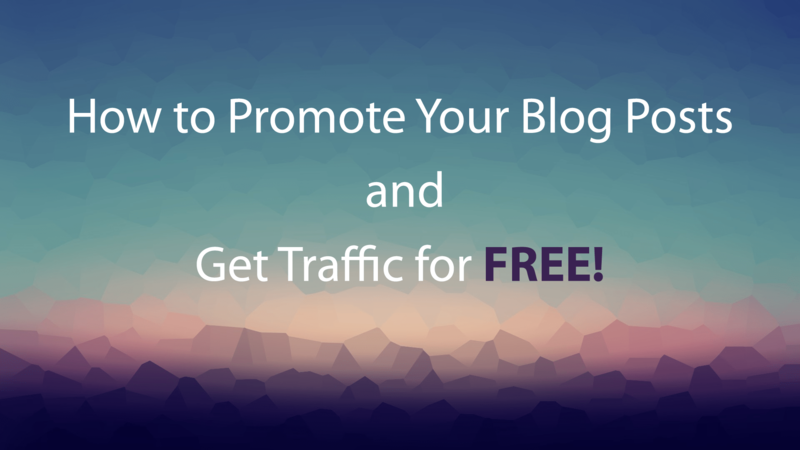 If you don’t promote your blog post, how will anyone know about your content? Knowing how to promote your blog posts is necessary if you want to get more visitors across the web and build your own audience. There are some cool content optimization tricks you need to be aware of if you want to make that happen. Even great blog posts can go unnoticed without a proper content promotion strategy! I am going to show you a step-by-step way of using techniques that will help you promote your blog post but at first you need to have high quality content; otherwise your promotion efforts will be failed. A powerful blog post title makes all the difference! Make sure, you have crafted an attention-grabbing headline. A good headline cuts through the noise in the internet world so your message stands out. The majority of the web users use the post title to decide whether or not to read your article. It doesn’t matter how good your article is, if your blog post has a weak headline, it won’t get read. So take your time to write the blog post titles. You should treat your post title as a mini advertisement copy for your work. You can grab viewer’s attention with different types of content, like: images, infographics, videos, slide embed posts etc. You need to explore creative ways to present your content and give users a strong reason to click your link. It is really important to make sure that the social sharing icons are really clear, visible and working properly on a mobile device. Google plus has lots of untapped opportunities to promote your blog and drive traffic to it. Google+ Communities provide a fab way to expand your reach and digital networking. Communities are online groups or interactive forums. If you engage in the communities pro-actively, you can build your authority and present yourself to a large audience group. Yes! We all are aware about the spammy marketing Emails that we get every day. But you are definitely making a Huge MISTAKE if you are not building an Email list. To drive impressive amount of traffic to your blog through emails, you need to get a great email list for sure. SlideShare is the YouTube of content sharing platform. SlideShare lets you hit multiple targets such as content marketing, brand building, Lead generation, Social Media Marketing(SMM) and SEO at once. Create a SlideShare presentation of your latest blog post and at the end of the presentation, links back to your content. You can extend its reach by sharing it to the social media platforms. Storify also provides you the opportunity to search Quotes, Images, Videos and Links to add in your stories. You can share your stories on various social media platforms also. Here is some instructions and FAQs that will help you to create Storify stories. I think Scoop.it is the best website for content curation right now. Guillaume Decugis is the Co-Founder & CEO of Scoop it. More than 1,000,000 people and businesses are now using Scoop.it! [Resource] You can check out this video to know what scoop.it is and how it works! The free subscription is powerful enough for your general content curation needs. But if you want to use your own Analytics (and connect your Scoop it board to Google Analytics), then you need to subscribe the premium business plan. Now, Pinterest is the 3rd most popular social media platform. According to the latest Shareaholic Social Media Traffic Report; Pinterest drives more referral traffic than Google+, LinkedIn and YouTube combined. If properly you utilize Pinterest, it becomes a striking platform of visual storytelling and can drive potential visitors to your website. Choose an eye-catching and interesting image from your blog post to pin. Make sure that the title of your blog post is visible on the chosen image. Add keywords in the description section. Mention influencers for engagement, you can @ mention them on Pinterest. Keep Your Pinned content descriptions between 200 and 300 Characters. Including Calls to Action is must. Use full sized and relatable images to make your blog post visually appealing and you are definitely going to get more Likes, Comments and Shares. People don’t like too much text in a social media update. Also remember that lots of your Followers and Fans are using Facebook on mobile, too. So keep this in mind when you’re creating your Facebook post. Always use a strong call to action to drive social media traffic to your website. People don’t like spammers. Don’t spam and Add Value (Please!). Image posts get 39% more interaction. If used properly, Twitter can drive lots of traffic back to your blog. But simply tweeting the title of your blog post with a shorten link back to the content will not going work. Use short and thought provocative tweets, hashtags, people @mentions and visually appealing images wisely. Engagement rates are 17% higher on weekends for brands. Retweets have been shown to be highest around 5pm. 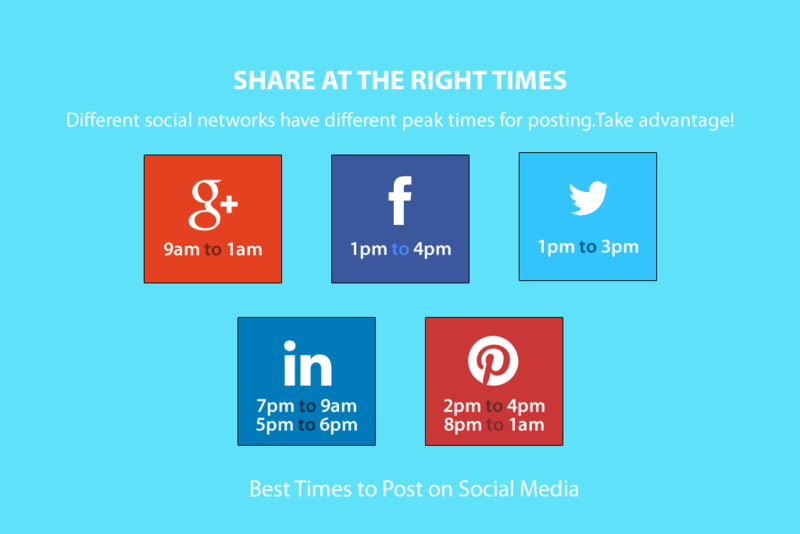 For clicks, the best times seem to be around noon and 6pm. Tweets with image links get 2x more engagement rate. Tweets with less than 100 characters get 17% more engagement rates. Tweets with hashtags get 2x more engagement rates. Reddit, the cyber-culture phenomenon, is an awesome content-sharing community where users vote and comment on various links, GIF images, original ideas and experiences, questions, photos, videos etc. that they find share-worthy. Reddit calls itself ‘The Front Page of the Internet’ and for many people on the web – it is really just that. Redditors are young, tech savvy, geeky, curious and internet literate. The Reddit culture is really tough and challenging if you don’t have a thick skin or you have a low tolerance. Success on Reddit Community depends on your niche industry and how you present yourself and your posts. When pitching on Reddit, You have to remember that you are dealing with the toughest crowds on the web. The Redditors are tough people who will voted you down painfully or blast you in the comments section. When you are going to use Reddit, at first check out the Reddit Etiquettes , Rules, FAQs and Self-promotion page carefully. DO NOT post only your content. If you are down voted, DO NOT ask the reason; no matter how badly you want to know that. Post title is the most important part on Reddit. So use eye-catching titles. Bring something new to the audience. Drive traffic to a website/blog. Increase awareness about your brand or about a particular event. Improve brand reputation and extend digital reach. How to Submit a Post on Reddit? Your creativity with words will shine here. Make the title short and to the point. Controversial or weird titles do very well on Reddit. What Kind of Posts Work on Reddit? Reddit post entries are categorized into areas of interest called “subreddits”. When posting on Reddit, make sure that you choose a proper subreddit that is relevant to your link or text post and has a fair amount of subscribers. On numerous occasions Reddit users commenting on your submission will check your public Reddit profile and submission history. Your Reddit profile page has records of your previous submitted links and comments. So you need to make sure that it doesn’t look like a spammer. Delicious is an awesome content curation tool, owned by the YouTube founders Chad Hurley and Steve Chen. With Delicious, you can save, manage and share web pages in a centralized source. If used properly, Delicious can be a great source of inbound links, traffic and brand exposure. But most of the online marketers (including myself) tend to not use it as effectively as possible. BizSugar is owned and operated by Anita Campbell. It is a niche resource and social networking platform for the small & medium business community. With over 175,000 registered members based around the world, it is an effective way to target the niche community, promote your content and drive targeted traffic towards your website. BizSugar is a great place and a fab way to share your blog posts with a whole new audience. Once a content submitted, the BizSugar community votes on this content and with the most voted posts making it to be placed on the home page. You can check out top BizSugar news on AllTop. Only content creation alone can’t drive traffic to your website. 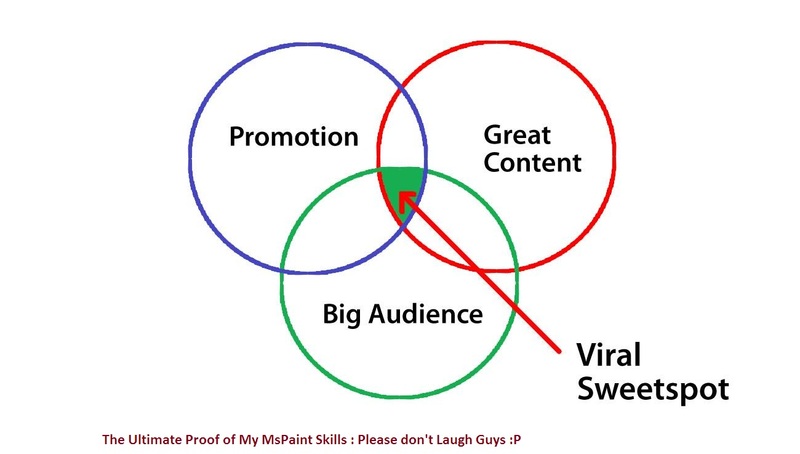 That’s where content promotion comes in the picture. Yes dude! You absolutely need to promote your content multiple times on various channels to get it in front of your target audience. If you are running an online business, your audience may span time zones around the web. By scheduling your social media content to go out over multiple days and times, you can ensure that more people will see your content. It takes a long time and effort to create great content, so you should promote your content with a proper strategy because if you’ve got something that was only seen by some people, chances are there are thousands of other people across the web can benefit from your content. The internet is a relationship economy – it runs by help me and help you formula just like give and take. To promote your content smartly, at first you need to promote other people’s content and build relationships with other people in your niche. One of the big mistakes that I see many online marketers making is to treat the social media platforms like advertising platforms. It is spamming and the ugly truth is that people don’t like spammers. Your content is for your audience, not for you. So give your audience a valid reason to read you blog post. Yes Friends! There are many other innovative and untapped ways to promote your blog post. Don’t be afraid to try and experiment something new! Do you have other smart ideas for promoting your blog posts? Please comment below! Hi! My name is Miraj Gazi, an inbound marketer, search and digital strategist who is Passionate about digital marketing and all things digital. I live in New Delhi; India. My passion is to help the entrepreneurs and small businesses to grow their ROI. My Google+ or Twitter or Facebook. To be honest, It’s an awesome article! I believe content is the ultimate way to everything in digital marketing. If you’re not pushing good content in different channel where you got an access, you’re missing out lots of traffic! As you have mentioned as well, keeping all of your social account up to date is also a key component. Summarizing sentence had “great points” indeed. Thanks a lot Taher bhai. So Inspiring. I really appreciate your comment and feedback. Yes, I will try to contribute regularly . Here it is written so beautifully that can easily learn about these Works. Awesome post brother miraz gazi..really the post talks about the whole internet marketing planing for the people who are the middle level of internet marketing..go ahead.best of luck..
Hi Shamim bhai, Thanks a lot for the inspiration. I will try to write better content. I am Glad that you liked it. Basically, the habit of reading the full content its annoying me. But You have shared great details about how to make a lot of traffic into the blog/post which I read with full of concentration and got more. Thanks for your post…..Really its a awesome post for search engine optimizer………………. Thanks a lot Miraj Gazi for this effective tips. This is the most effective content to get traffic. Basically, I would like to congratulate for this awesome article. Redditors are young, tech savvy, geeky, curious and internet literate. The Reddit culture is really tough and challenging if you don’t have a thick skin or you have a low tolerance. This is a really important post for the newbie people who want to get success within a short period of time. All points are really important for modern SEO. Useful information about blog promotion & way to generate referral traffic via Social media. Thanks “Miraj Gazi” to shearing with us your promotional talent/knowledge. Hope you continue it in future … Best of luck. Very important and useful tips to promote without spending but with great result. Thanks Miraj for your sharing this info in a clean way. Appreciate it!